Join us February 13th and 14th for a Facebook party! 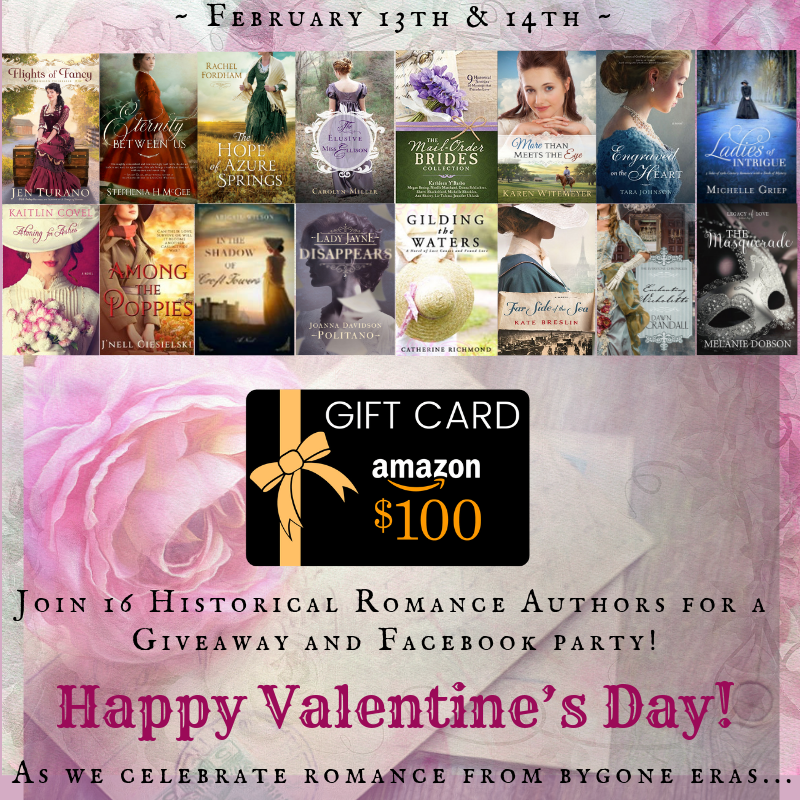 16 historical romance authors would love to meet you and share their stories and ideas for celebrating this most romantic day of the year! Also enter here for your chance to win one of our three prizes: 16 novels, a $100 Amazon gift card, or a Jane Austen book bag! Sharing a little book love has never been more fun! See you on the 13th! Aimee, thanks for posting, I love books, too. Good luck on the contest! This will be fun! Love books! Yes, Brenda! I look forward to having you join the party! Look forward to the event, always great to meet authors and enter contest. That’s great,Kathleen! Thank you for joining us!